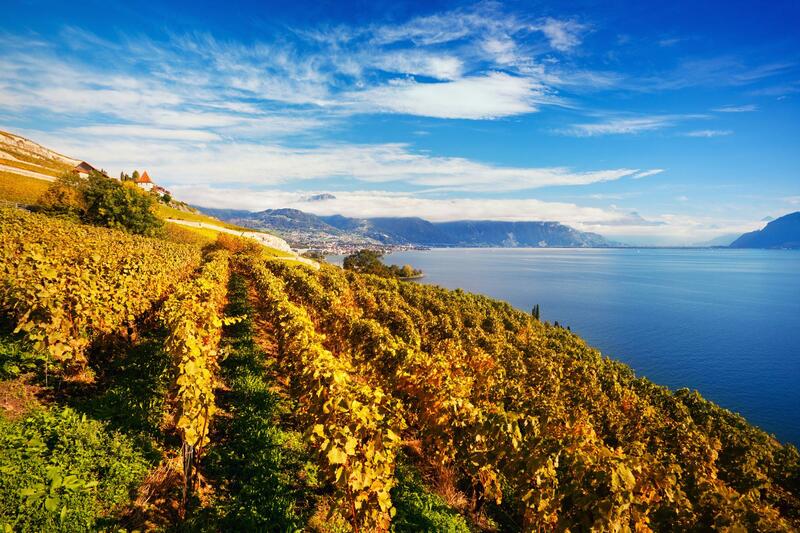 Formed more than 15,000 years ago, Lavaux was shaped by man in the 12th century. These thousands of years of history confer a unique character to this region, which is part of the UNESCO World Heritage Programme. 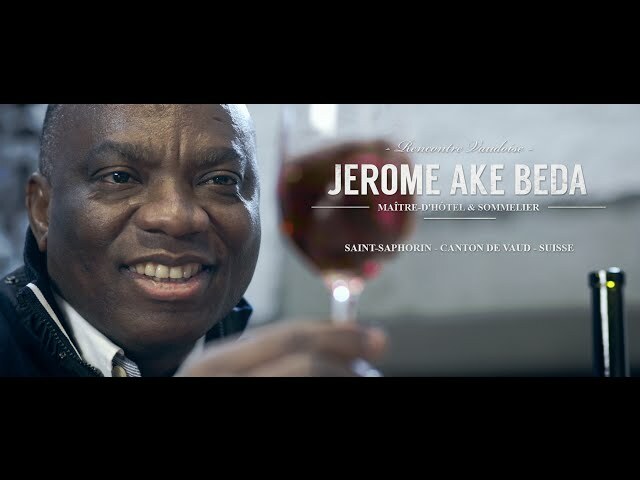 The work of today’s Lavaux winegrowers is tinged with pride and respect for a land of legend. The unique landscape of Lavaux was shaped by the formation of the Alpine chain several million years ago. During the ice ages, Lavaux - just like most of the south-western part of Switzerland - was covered by the Rhone glacier. Its decline 15,000 years ago shaped the steep slopes of the vineyard. These slopes are now typical of Lavaux, especially the Dézaley vineyards, whose slope may reach 100%! While the Dézaley soil is chalky-clayey - which is the special feature of this designation - Lavaux consists of fossil-rich sandstone. Findings of the 19th century revealed hundreds of plant species, some of which had been unknown to science until then. The steep lands of Lavaux remained unusable for man for a long time. The oldest documents attest to vine planting in the 12th century, but this activity was likely to have started much earlier. In any case, it was in the 12th century that a combined action of the bishops of Lausanne and the Cistercian monks turned Lavaux into a recognised wine region. Helped by the winegrowers-labourers, they embarked on a gigantic endeavour to build terraces held in place by stone walls. During their occupation of the canton of Vaud, the Bernese authorities recognised the importance of the winegrowing activity in Lavaux and spread its fame beyond the Swiss borders. 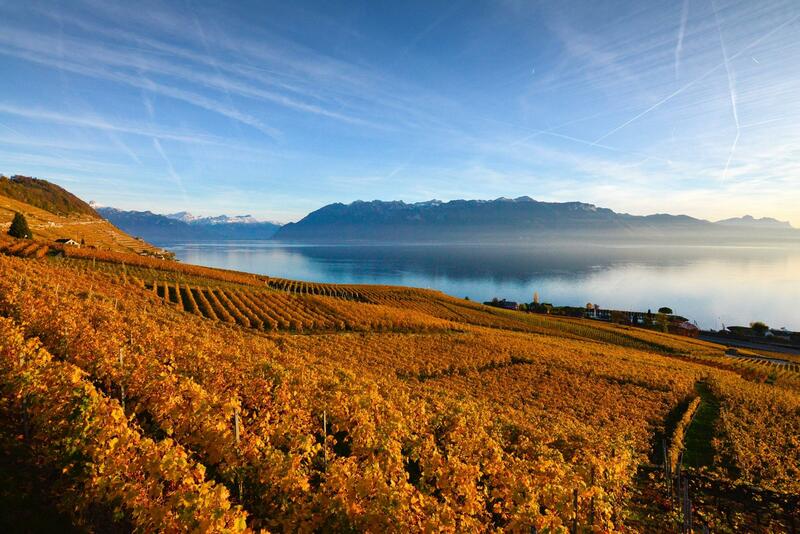 Well after the Bernese authorities, a nominating committee called AILU undertook the necessary work to have the value of Lavaux internationally recognised by UNESCO. After being assessed on a national level, the Swiss ambassador submitted the application file to UNESCO. Experts studied and transmitted their remarks to AILU, which had enough time to complete the file before sending it to Christchurch in New Zealand, where the session of the world heritage committee took place. The latter decided to include this cultural asset created by nature and shaped by man. From the approval of this registration on June 28 to the great celebration organized in Lavaux on September 22, 2007, an entire region celebrated the first Swiss-French site registered by UNESCO. 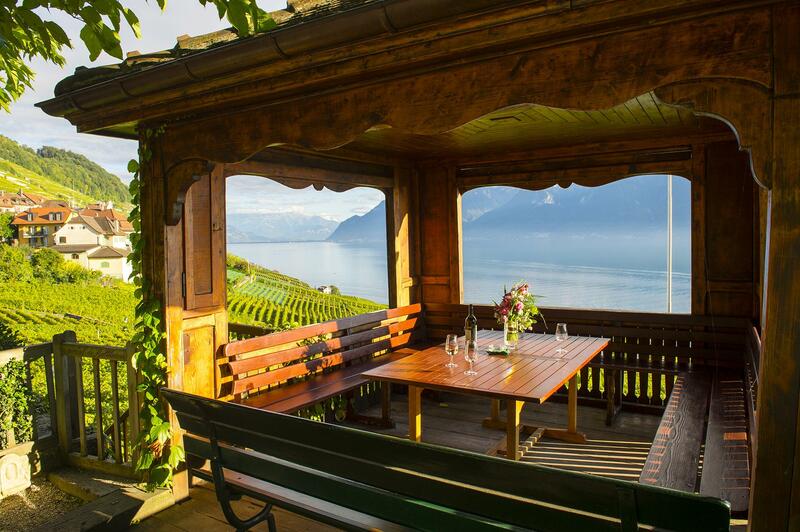 The work that a winemaker in Lavaux must perform is incomparable with the tasks of his colleagues in other Swiss wine regions. The small surface area of the plots and the slopes often make the use of machines impossible. Everything is done manually, but the vintner has a few tricks up his sleeve to reach the most remote plots: cable cars, monorails, funiculars and sometimes helicopters astonish hikers in the area. In addition to this manual work, vintners must maintain the heritage of the Cistercian monks, who built these miles of stone walls. These century-old walls must often be solidified and gaps mended. As Switzerland’s second-largest winegrowing canton, the county of Vaud comprises eight controlled designations of origin (AOC) in six winegrowing regions. Lavaux is a prestigious AOC and known beyond our borders, but the region also produces Dézaley and Calamin vintages, both also labelled AOC. With a slope that can be a steep as 100%, Dézaley is often compared to a cathedral. Its chalky-clayey soil provide unique wine and lends itself perfectly to growing the Chasselas grape. This locally predominant grape variety yields dry white wines that are perfect for aperitifs and as an accompaniment for fine dishes. Calamin, a tiny designation of barely 16 hectares, is as valuable as it is rare. A terroir of choice for powerful Chasselas wines!